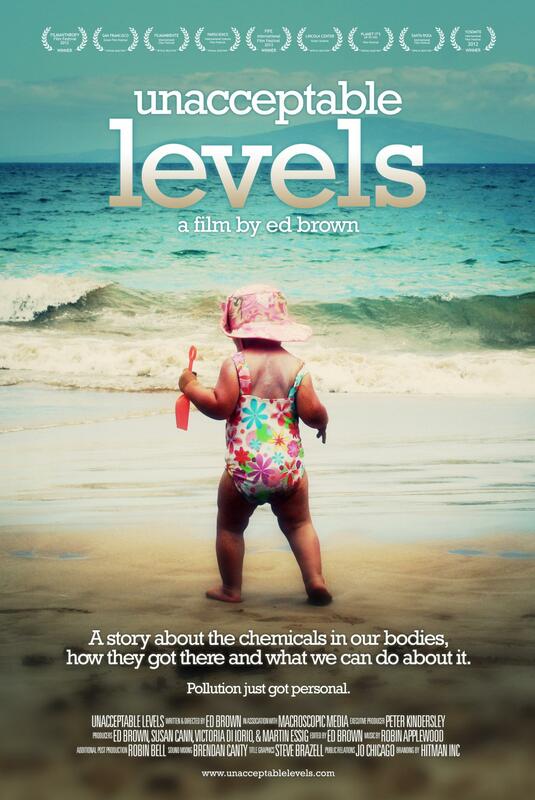 Unacceptable Levels examines the results of the chemical revolution of the 1940s through the eyes of filmmaker Ed Brown, a father seeking to understand the world in which he and his wife are raising their children. 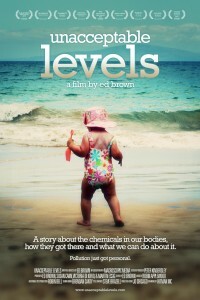 To create this debut documentary, one man and his camera traveled extensively to find and interview top minds in the fields of science, advocacy, and law. Weaving their testimonies into a compelling narrative, Brown presents us with the story of how the chemical revolution brought us to where we are, and of where, if we’re not vigilant, it may take us. According to Dr. Neil Carman of the Sierra Club, 80,000 – 100,000+ toxic synthetic industrial chemicals are made by large oil refineries-chemical-petrochemical plants, which in Texas is the largest group of such toxic plants in the nation (in the hundreds of plants!). Their air/water pollution and synthetic chemicals end up everywhere and their toxic synthetics are used in thousands of consumer products with little or often no testing as to toxic health effects. A screening of this film is scheduled for Austin, TX on Feb. 03 , 7:30PM At AMC Barton Theater, but only if an additional 50 tickets are reserved by Sunday, January 27th. Click here if you wish to reserve your ticket now. Other upcoming locations in Texas are in Dallas, Plano and Webster. Tickets can only be reserved online. Click here for a full list of upcoming screenings.